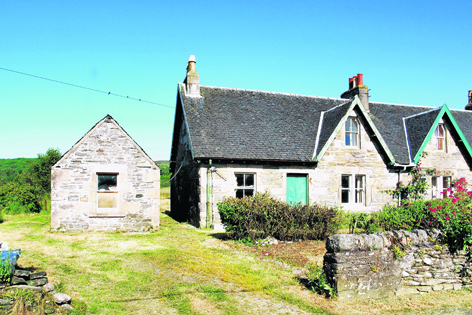 House hunters looking for a blank canvas to carve their dream home in one of Scotland’s most tranquil settings are in luck as two next-door cottages have come onto the market. 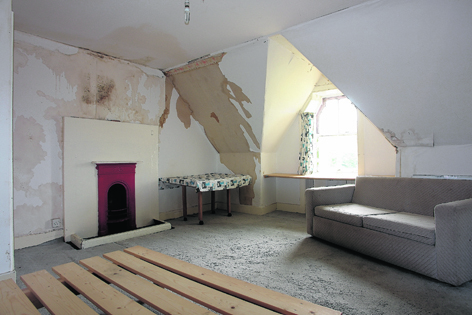 Both properties, in the village of Skipness around 12 miles from Tarbert in Argyllshire, are in need of modernisation, giving perspective buyers the chance to develop the properties to their choosing. With views across the sea to Arran and the surrounding countryside, both properties are on the market with Bell Ingram with Rose Cottage West on at offers over £90,000 and Fairfield Cottage at offers over £120,000. Hugh Nicol of the firm’s Oban office said: “Rose Cottage West and Fairfield Cottage are fantastic properties with great potential for renovation. “Not only are they both in an enviable, tranquil location but they also boast spacious interiors and well-maintained gardens. “The town of Skipness itself is also extremely popular with holiday-makers and families looking to be part of a thriving community including a local primary school, shops, village hall and fantastic transport links. 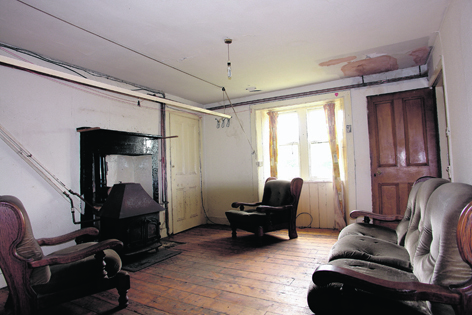 “The larger of the two properties, Fairfield Cottage already has attractive wooden floors throughout the property with Edwardian cast iron fireplaces in both first floor bedrooms. Fairfield Cottage, a detached stone and part rendered cottage, comes with a sitting room, two further reception rooms, two ground-floor bedrooms, a kitchen, utility room, one bathroom plus two first-floor bedrooms. Rose Cottage West is a semi-detached cottage with two reception rooms, a kitchen, bathroom, two bedrooms on the first floor and ample storage. Skipness, situated on the east cost of the northern end of Kintyre, is well known for its 12th-century castle and chapel. Local restaurant the Sea Food Cabin is famed for its fresh fish and attracts food-lovers from across the globe. The area enjoys opens access, meaning there is no restriction on where to walk or roam around the area with Sandy Bay, a short walk from the properties, providing beautiful sandy beaches ready to explore. Mr Nicol said: “The location of these properties is ideal for holiday-makers or families keen to set up home in a very welcoming village. Contact: Bell Ingram’s Oban office on 01631 566122.